Marlena by Julie Buntin is a haunting debut that journeys back to a time of a tumultuous friendship between two teenage girls, Cat and Marlena, in the 90s. But only one will carry through to adulthood. Cat, a lonely, studious, 15 year old moves to the rural northern Michigan town of Silver Lake, into a dismal house with her mother and older brother after her parents’ divorce. There the teen meets up with the beautiful, wild, and troubled 17-year-old neighbor, Marlena, who introduces Cat to many firsts, including her first drink, first kiss, first drug, and the first of many dangers. Within the year, Marlena is found drowned in the shallow, icy waters nearby. Decades later, Marlena’s friendship and death still haunt Cat as she tries to carve out a life in NYC, embarking on a journey of self-discovery, and moving past the tragedy. 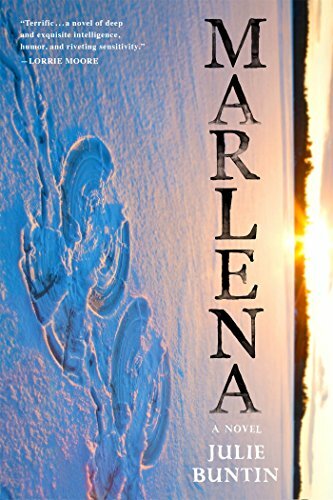 Marlena is a stunning debut, packed with authentic emotional reckonings, a fierceness delivered in unforgettable prose about friendship and the fragile bonds that bind us.